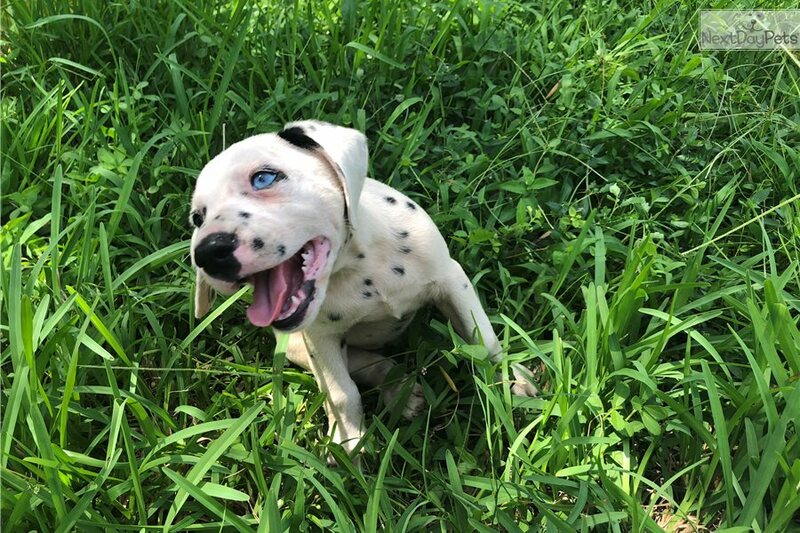 We have a beautiful black spotted female puppy from our new litter of Dalmatian pups that has one blue eye. 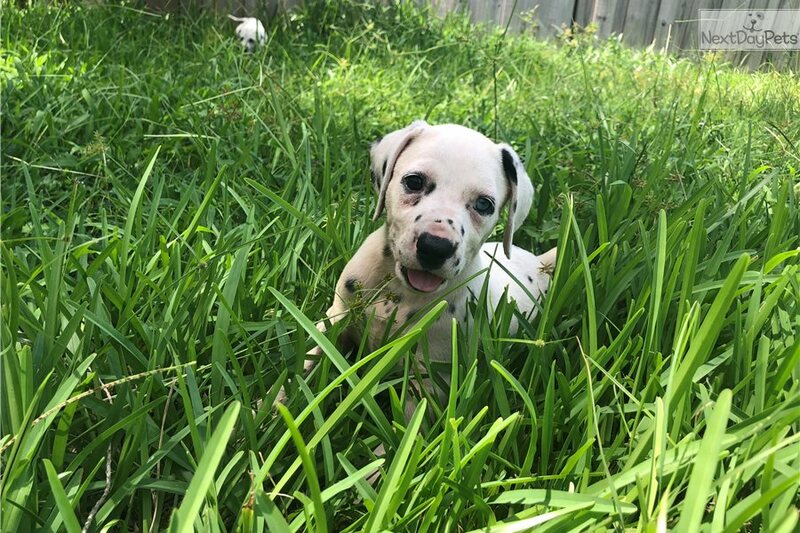 The pups will come with Registration paperwork, first vaccines and dewormings and will be checked for deafness. They are able to go home at 8 weeks old. They can be picked up at our home in Merritt Island, FL or we do offer airline shipping for an additional $375. Please feel free to call or text with any questions.